This year marks a conjunction of two notable landmarks: The twenty-fifth anniversary of the Guelph Jazz Festival, and the sixtieth birthday of acclaimed Japanese pianist, Satoko Fujii. So it is entirely appropriate to feature this significant artist’s new trio This is It! as part of this year’s celebration. In Japanese culture, a sixtieth birthday is a major event, a transition into a new and joyful stage of life, and Fujii has opted to celebrate this passage with a monumental project, releasing twelve CDs during the twelve months of 2018. A notable one introduces This is It!, with trumpeter Natsuki Tamura and drummer Takashi Itani. 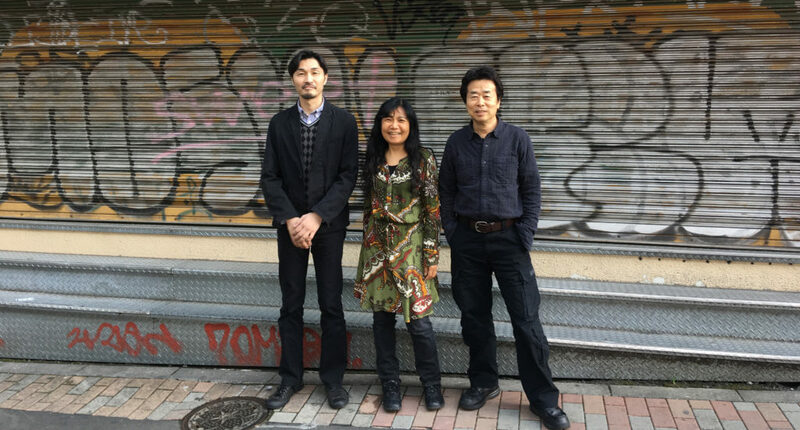 This new formation features Fujii’s compelling cyclical constructions and earthy bass vamping, Tamura’s expressionistic post-Leo Smith extended playing, and Itani’s rock-energy drumming, forces that can mount and swirl in the thick of group improvising before suddenly alighting on one of Fujii’s nimble themes. Happy sixtieth birthday year, Satoko Fujii. We are delighted to be able to celebrate together.